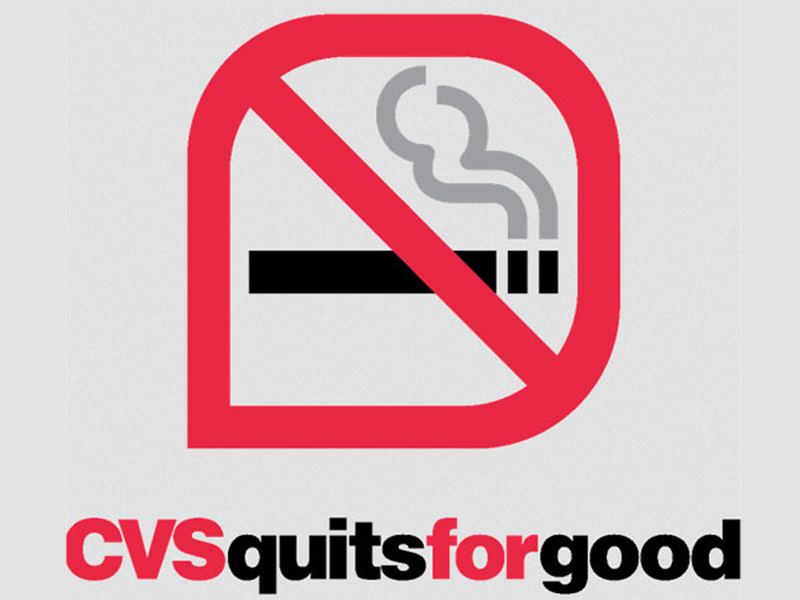 CVS Health Corp (CVS) has announced to remove tobacco products from its 7,700 pharmacies across the US. The company made this announcement to preserve public health and earn goodwill. According to the Wall Street Journal, the company is expected to lose $2 billion in sales annually on the back of this move. Now while that might mean a loss of revenue, it has certainly boosted its positive press. The move to ban the sale of tobacco products was part of a larger play to brand itself as a company focused on health care. The pharmacy retail giant revealed Monday it’s taking another significant step in its anti-tobacco effort. Caremark, the pharmacy benefits management arm of CVS, will soon require “some customers” to make a $15 co-payment on prescriptions filled at other pharmacies that sell tobacco products, the Wall Street Journal reported Monday. However, the company has announced other plans to cover up for the lost sales. Caremark is a “prescription benefit management” subsidiary of CVS Health and will come up with a new rule requiring customers to pay $15 as co-payment on prescriptions filled at pharmacies selling any tobacco products. This will provide the pharmacies, like CVS, which have adopted a policy of not selling tobacco products an added advantage over the pharmacies which sell those products, given they all become a part of the Caremark-managed network. Moreover, the company has defended the move by saying that it took the initiative after receiving requests from multiple customers to make the chain tobacco-free. The company’s spokeswoman shared outcomes of a study which concluded that similar moves in Boston and San Francisco had led to 13.3% reduction in tobacco purchases. Analysts expect this move to positively impact the company. Although CVS’ spokeswoman refused to comment on the possible implications of this move on the company’s revenue, analysts believe that it will increase goodwill of the company and will divert sales to CVS from other pharmacies, which have not adopted this policy as yet. Volume diverted from Caremark to CVS is also predicted to increase because of the new rule implemented by Caremark. Even though analysts see increased revenue and goodwill for the company as a possible outcome for CVS, rival pharmacies have started to protest against the move. They claim that CVS and Caremark will work to make sure that all customers are forwarded to CVS pharmacies, since both are owned by the same parent company. They have also accused Caremark of not providing the complete list of tobacco-free pharmacies and customers will be diverted to CVS pharmacies to prevent implementation of the $15 fee. “Following our announcement that we would no longer be selling tobacco at CVS/pharmacy, a number of our pharmacy benefit management clients approached us about developing a tobacco-free pharmacy network,” Carolyn Castel, vice president of corporate communications at CVS Health said in an e-mailed statement to Forbes.